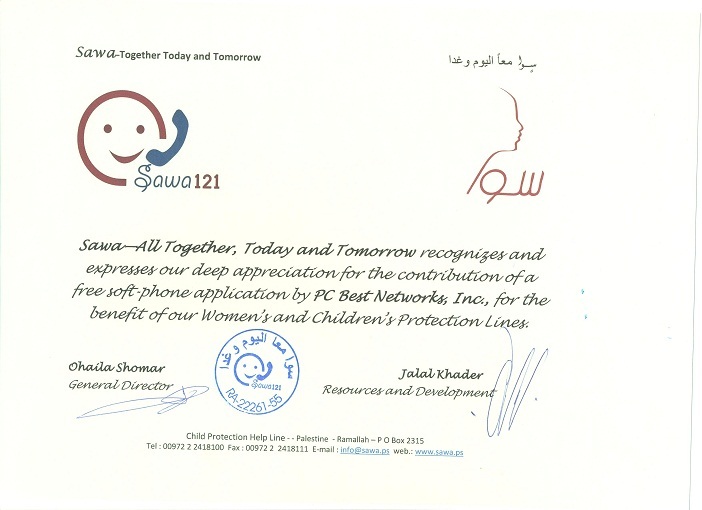 Latest News: PC Best Networks Supported and helped SAWA, a nonprofit organization and a member of Child Helpline international, to build SIP softphone for their Call Center to help children. "We use PCBest SIP PBX to provide our community with the ability to voice opinion on our radio stream. Their software solution is the best we have found and second to none. Thanks PCBest, you’re the best!" "We develop dispatching systems for taxi fleets. One of theirs most important components is the ISDN telephone switchboard, which is used to connect the customers to the Taxi Cooperative (to its phone number), it is to say to operators, who enter in Microtek systems the taxi booking. We bought a "PCbest SIP SDK" in order to forward the incoming phone-calls from the ISDN telephone Switchboard to one or more VOIP telephones. We are satisfied of the results gained through this solution. Development procedure and time needed for it has been very quick short thanks to a prompt and efficient technical support." "In our business as developer within visistors logistics PC Best Network has been a huge asset when it comes to deliver systems for IP-phone. Especially we like to highlight their ability to assist us when we got stocked in our development." "We had a modem based IVR system for managing street lights and we converted that system to VoIP with PCBest Networks SIP SDK. It took only a couple of days to get it done and it's working excellent now. We received quick and helpful support. Powerful yet simple SDK to work with. Thanks." "We developed a IVR application for Pharmacies by using PCBest Networks SIP SDK. It only took us a few of weeks to finish the application with their great support. The application is working wonderfully and becoming one of our best selling products. I would strongly sugguest PCBest's SIP SDK to the new developers who want to get into VoIP(SIP) development. Try it. It is an excellent product." We are Wholesales Company and our business branch is wireless microwave radio. As the biggest reseller of Ubiquiti and MikroTik radio links and routers with own service centre, we have a duty to keep strict standards in customers care. That’s the reason why we decided to record and monitor phone calls of our salesmen and technicians. From analysis of these records with particular employee, we are able to detect eventual communication mistakes on time, but also to create databases of most frequent wishes, questions and comments of our customers. As a supplier of this software we have chosen PCBest Networks – they offer “VoIP Recorder“ software for an acceptable price without needs of any other investments. No difficult installations are needed, software works with ordinary PC / Windows and records have the MP3 form (the file name contains phone number and date). We can easily share these files and make accessible for proper persons and according to a local low also we can delete them after certain time. There were little problems during the implementation – sometimes we found “double” records due to bad PBX settings. Fortunately it was no problem for PCBest Company and they solved it with a patch during three days. I can suggest this company to any other. Excellent and fast services together with personal access make them NO.1. "Using this SDK we were able to create a commercial grade softphone in a matter of weeks and at a fraction of the cost of any competitive SIP SDKs. PC Best have been very professional and helpful at all times and I would thoroughly recommend them, and their products." "PC Best had the best VOIP SDK that we could find. When you also consider that their pricing is great, you can see that our decision to purchase from PC Best was an easy one to make. We have also found that their product support is excellent. We look forward to a long mutually beneficial relationship with PC Best." "We have purchased PCbest SIP SDK to develop an IVR application. With the “easy to use” SDK we could easily develop our desired application within couple weeks. The application is a success and it is very easy to make improvements on it with the SDK. We have been getting an excellent (fast, effective, suitable ) support from PCbest as well which makes our experience even better." Clarotech Consulting is an independent IT infrastructure company in South Africa that specialises in providing consulting and support services to both small and large businesses. Clarotech is at the forefront of Asterisk PBX Solutions, installing, monitoring and supporting both traditional PBX’s and call centre solutions. 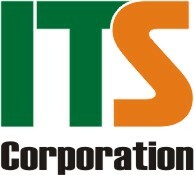 ITSysoft is a system integrator company. We help the customers build and improve their LAN/WAN networks & VoIP applications.